There were great performances by four of our athetes at the Nottingham Half Marathon today. Russell Simpson was the 1st runner home in a PB of 1.18.28. Kate McBrien and Andrea Deathridge both recorded great sub 1.30 times, with Kate finishing in 1.27.54 and Andrea finishing in 1.29.02. Clive Sayer was the 2nd over 65 finishing in a time of 1.39.18. The provisional results are available here. Well done all! National Road Relays back on? According to an article in Athletics Weekly the National Road Relays are back on. The venue is yet to be confirmed but is described as being at a “magnificent private estate about an hour north of Birmingham.” The young athletes event, which was scheduled for the same weekend, will be moved to April. The article is available here. Update: The Senior Men’s and Women’s races are back on at Clumber Park, Notts. For further details click here. The National Road Relays, which were due to take place in Sutton Park on 13/14 October, have been cancelled. This is a result of an outbreak of e coli 0157 which has been linked directly to Sutton Park. A full statement from the ERRA is available here. Come and celebrate a successful year for Royal Sutton. The annual presentation evening takes place this Friday (21st September) at the All Saints Church Centre on Belwell Lane, Four Oaks (7.30-11pm). Awards will be given to athletes in each age group. Tickets are still available from the coffee bar and cost £6 each, to include a disco and jacket potato. Family discounts are available. More photos of the Little Aston 5 are now available on our FLICKR pages. A link to the new photos is available here. 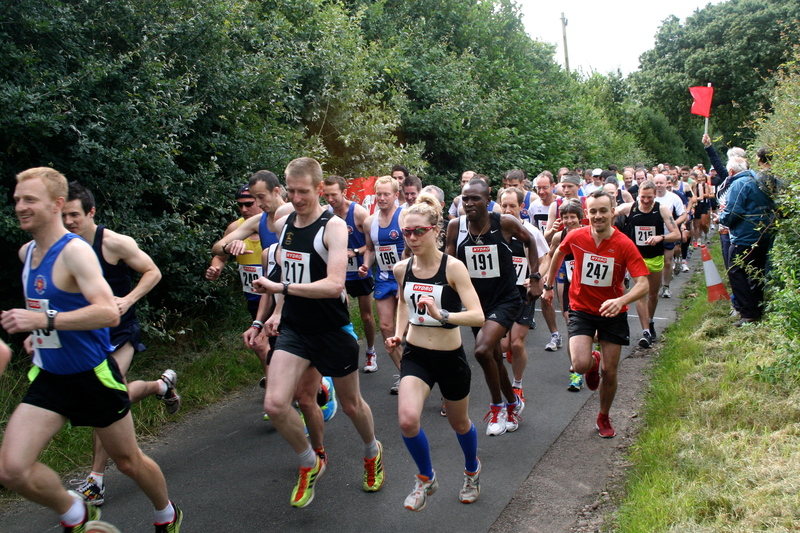 Well done to everyone who took part in Sunday’s Little Aston 5 mile road race and 2 mile fun run. Congratulations to James Trollope (Birchfield) who blazed round the course to claim overall victory in a new course record time of 25.48. 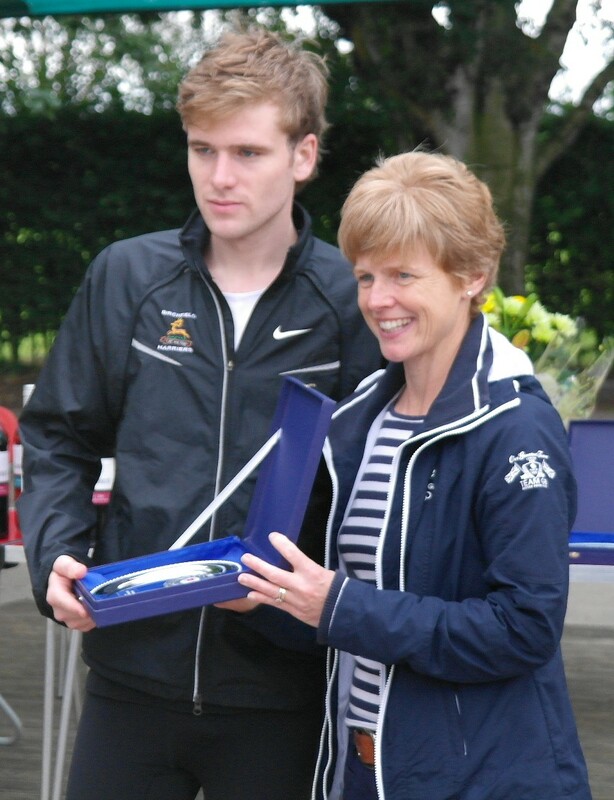 2nd runner home was Ollie Harradence (Royal Sutton) in a time of 26.38. The women’s race was won by Sian Slade (Birchfield) in a time of 32.39 with Rachel Pounds (Bolton Harriers) in 2nd place. In the 2 mile fun run the race winners were Shaun Evans and Georgia Curry (both Royal Sutton). Georgia’s time of 13.47 was a course record – fantastic effort! Well done also to Kieran Mullis, Melissa Adkins, Lucy Corker (all Royal Sutton) and Tom Hurley who were age group winners in the fun run. Thanks to everyone who helped out on the day to make it a really successful event. See you all again next year!